A man, with what appeared to be a homemade bomb strapped to his body, attempted to rob ABSA Bank, in the Mall@Carnival, on Tuesday afternoon. According to information, an employee of the bank was helping clients at the enquiry desk when she was approached by a man who handed her an A4 size sheet of paper. The employee looked up and the man pushed a black bag towards her. She then looked at the letter and saw the first line which read: “Fill the f****** bag”. The employee realised that there was a situation and she informed the man that she did not have money, because he was at the enquiry desk. In an effort to distract him and alert management she told him to go to a teller. The employee apparently got up from her chair, but was instructed by the robber to sit. At this point he lifted his jacket to reveal what was described as film strip, with a lot of wires attached to his body. The robber again instructed her to fill the bag and threatened to press a button for the bomb to explode. The employee again explained that he should go to a teller, after which he took the letter and bag and moved towards the door. Security guards followed the man, who got onto a waiting motorbike. Neither he nor his accomplice wore helmets and they managed to get away. The incident was reported to the Brakpan Police and is being investigated. 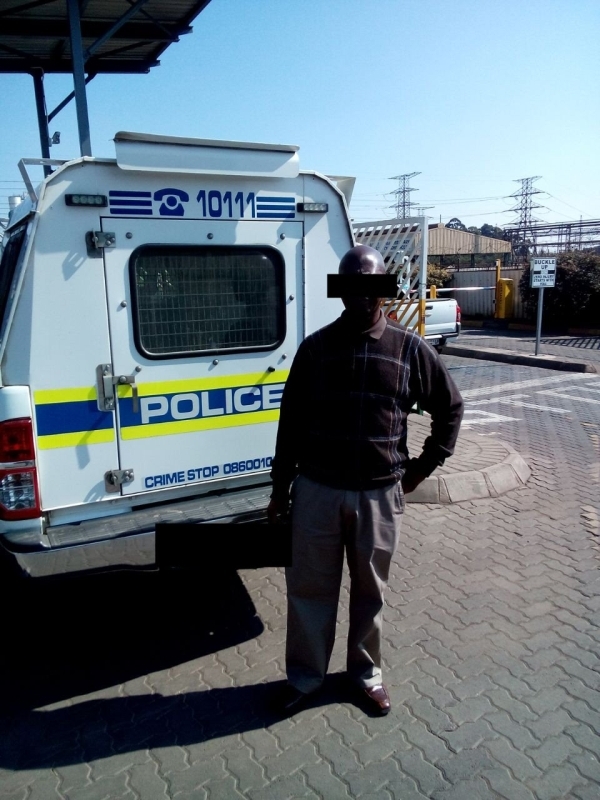 This suspect faked being hijacked from his Company Truck (one week old horse), but when ABIS-Security Investigations investigated they found that the suspect made a false statement to SAPS and his Employer. The statement was investigated and by means of CCTV cameras, Polygraph test, and various intense questioning sessions. It was revealed that he in fact were not honest and he perhaps planned the whole hijacking. SAPS Trio Task team is currently investigating the matter against him. He was taken in by SAPS today for further investigations. 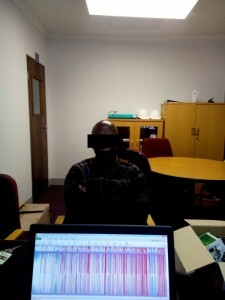 What is The Forensic Voice Stress Analyser? FVSA v 6 runs on your laptop computer instead of utilizing a heavy, unwieldy suitcase sized machine. 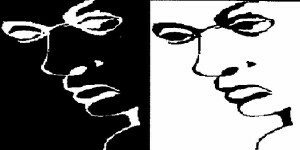 FVSA is as Reliable & Accurate as traditional Forensic Psycho physiological Detection of Deception techniques such as polygraph and analogue VSA machines. FVSA, like polygraph, when used for the purpose of “detection of deception”, is limited by definition to face to-face examiner / examinee interaction, with the examiner restricted to utilizing specifically designed and implemented test protocols and exacting analysis requirements. Unlike polygraph however, FVSA does not require attachments of invasive and at times uncomfortable body sensors that tend to create unnatural stress. With FVSA the voice ‘micro-tremor’ is governed by the central nervous system and reacts to the psychological stimuli (the question) in the same time frame as does polygraph, the difference being that with FVSA, the ‘micro-tremor’ recovers almost instantly, whilst with polygraph the required recovery time is 30 seconds or more. The process is therefore far more user-friendly as there is no artificial waiting time between question sets. A skilled polygraph examiner requires approx 2,5 hrs per person to conduct a specific ZOC type examination. The same examiner can conduct the same examination in 45 mins via FVSA. FVSA is 99% less prone to Countermeasure practices. This is because during the approx 0,25 sec timeframe that it takes to say ‘Yes’ or ‘No’, there is no CM that a subject can produce to skew the response. FVSA does not account for pitch or tone of voice. The FVSA System’s capabilities match those of mechanical, electronic, and computerized polygraph systems. For purposes of detection of deception, the FVSA has obvious advantages for both the examiner and the examinee. Changes and the Order/Disorder of the Lead-in Leg What is the principal behind Voice Stress testing? We get this question quite a lot as most people are familiar with Polygraph test due to its exposure on the television and very few programs feature VSA test as it is a relative new technology and not as visual at Polygraph. For this purposes the producers of programs and movies make use of old analogue polygraph machines (needles & ink systems) for their display purposes. Basically the VSA test comprises the measurement of the flexibility of the vocal cords. As one starts to stress and enter into the “fight, flight or freeze (FOF)” mode, the body undergoes several changes to cope with the danger at hand. One of these changes is the body reduces blood to the extremities and utilizes it in the major muscle groups located mainly in the upper body. This causes the muscles in the throat to tighten and the basic frequency of the voice changes. In the late 40’s Dr. Olof Lippold from the University College in London discovered all humans had a base frequency of between 8 to 12 hertz when in a normal state. Once we enter into the FOF syndrome, this basic frequency is diminished and is significantly less. Current staff can be questioned on the FVSA system on a monthly, quarterly and yearly. With this process you will be able to identify people who are stealing. Investigations can start quickly in order to illuminate large losses. Incident screening of staff: incidents can be investigated and staff can be questioned on the FVSA system. Stolen assets can be recovered. Suspects can be investigated prior to testing and arrest or civil action can follow. Future thefts can be illuminated by identifying weak spots in the system.